10 Best Escape Rooms in Chicago, IL – Mobile Room Escape! 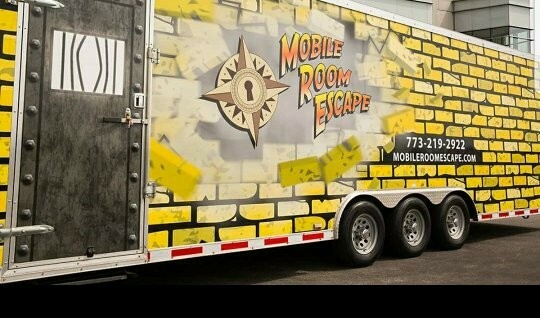 The first escape room adventure of its kind, Mobile Room Escape offers players a chance to have a unique adventure while riding a 32 foot luxury climate controlled trailer. No need to worry about travelling to get to the party because the party will come to you. It’s perfect for any type of events or occasions whether it’s birthdays, baby announcements, holiday celebrations, corporate events and team buildings, fundraisers or just a fun time to escape the ordinary. 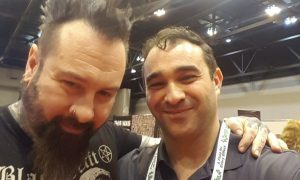 Our very Jason Garvett was interviewed by Haunt Geeks. 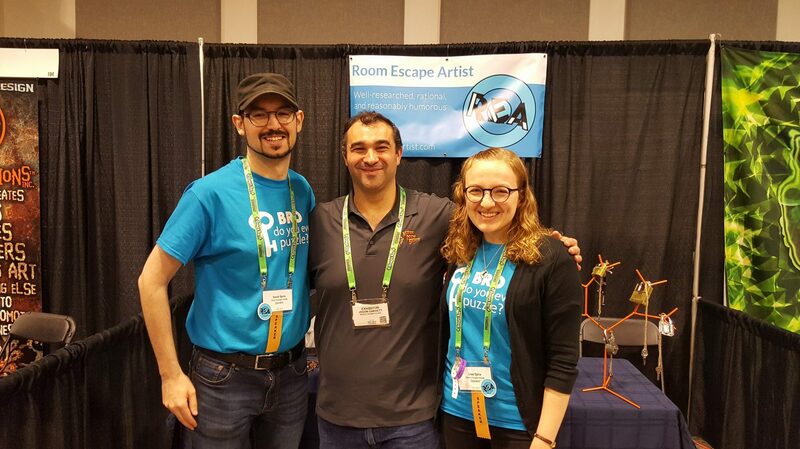 We were excited to talk about custom mobile room escape trailers and our special Mobile Room Escape Service we offer to build out Escape Rooms for you! Creative people often dream of exiting their everyday jobs, but Western Springs’ Jason Garvett embraced escape as a career move. The architecture cruise captain and former acting/directing major wasn’t exactly sure how he’d scratch the old creative itch that had resurfaced. Then he went to an escape room for his birthday. He ended up in a room with several 15-year-olds. The adrenaline rush reminded Garvett of performing. Escape rooms intrigued him. But he knew from his years as charter manager for Chicago’s First Lady cruises how hard it can be to get lots of people to one place. The answer? Mobile Room Escape. 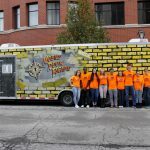 Incorporated in October 2015 and opened in March 2016, it was one of the country’s first mobile escape rooms. Garvett first thought “mobile” could mean puzzles set up in customers’ houses — a “pop-up” room. He then realized people might not want strangers rummaging around their homes. 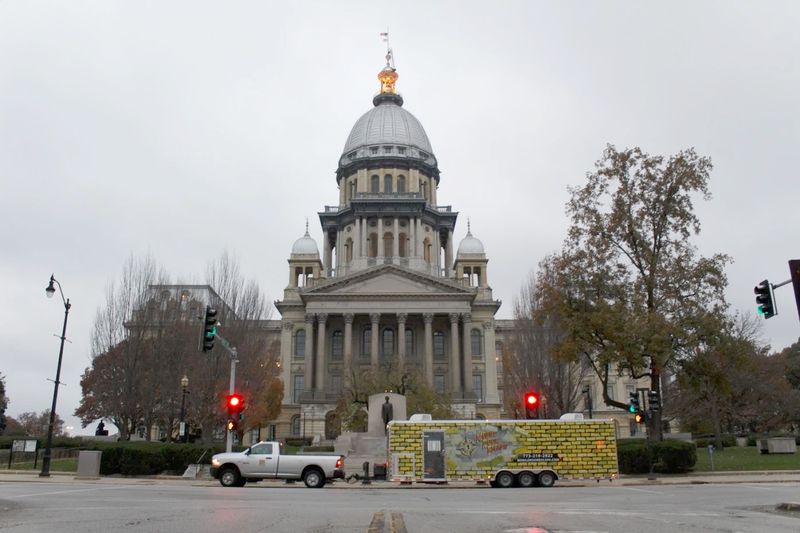 That’s how Garvett ended up in Morris, Illinois, ordering a customizable 32-foot trailer. A week before opening, at a trade show in Schaumburg where he hoped to drum up a kids’ birthday party booking, Garvett met a business owner whose arcades and video games traveled in a trailer. The journey had a few dead ends. Selling tickets to sparse crowds in Gurnee Mills’ parking lot was somewhat fruitless. Garvett wasn’t sure he’d make enough to pay the gas and other bills. He worried he’d be closed within a week. His own creative puzzle was finally solved. “I get my fix acting, directing, writing. As a father of two, working and running another business, it would be hard to fit in rehearsals,” Garvett says. 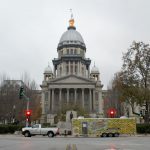 The trailers have hosted parties for people aged from five to 80 and older in Naperville, Hinsdale, Elmhurst, Clarendon Hills and way beyond — to 14 other states, including Iowa for a post-prom event, and South Carolina for corporate team building. In Chicago, one room hosted Star Jones’ son’s birthday party. Many escape rooms discourage children. Not Garvett. “Any time you rule out a class of people — age, class, religion, orientation — it’s not a good decision. Unlike a lot of rooms, our game master is with participants the whole time — I hire actors and want them to engage the audience and be part of the scenario,” says Garvett, who still also captains the First Lady cruises. 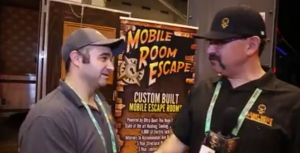 Mobile Room Escape also builds trailers for other owners — yes, Garvett called the guy from Ford. The two have sent more than a dozen trailers to Miami, Seattle, Nashville, Branson and Atlanta. That’s whole point of an escape room — getting out, and having fun doing so. Contact us today to schedule your adventure of a lifetime! My background is in acting and directing and for the past 12 years, I have worked in the Tourism and Hospitality industry in Chicago for Chicago’s First Lady Cruises as a Boat Captain, Group Sales Coordinator, and their Private Charter Fleet Manager. In 2014, I was driving to work and was T-boned by a vehicle that ran a red light. What doctors thought at first, was a bruised elbow turned into elbow reconstruction surgery. On September 25 (a day before my 33rd birthday), I underwent surgery and I was out of commission for 5 months. During that time, I was searching to get back to my theatre roots but, I did not know in what fashion I wanted to do that in. In September of 2015, I did my first escape room and that’s when it hit me. This still young form of entertainment was the perfect mix of people communicating, actors, sets, lights, sound effects, props and it put the audience member in the role of the actor. From gorking in private events, I know how difficult it was to get a group of people in what place at a time so that is why, I decided to start MOBILE Room Escape. 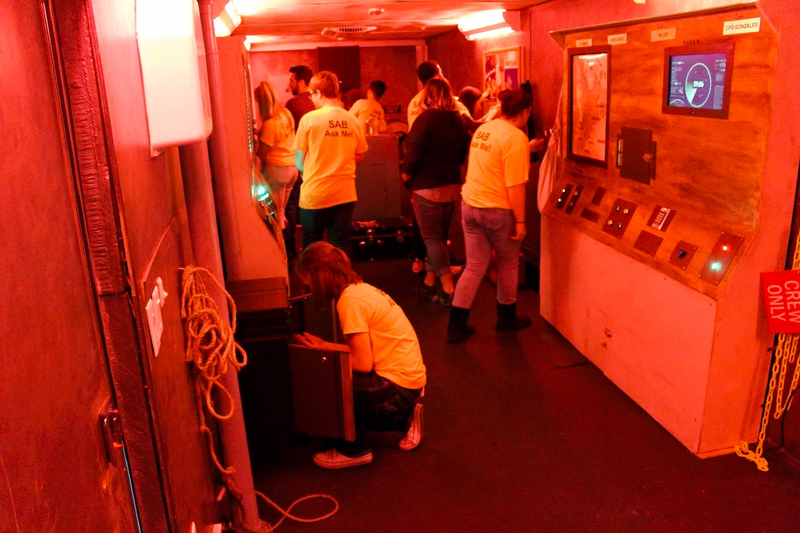 We custom built a 32-foot trailer that was heated, cooled, insulated and self powered so, we could bring the escape room to the people. We travel all around Chicago and the US bringing team building, and the fun of the escape room to our audience. In 2016, after many inquiries from other companies wanting to start Mobile Escape Rooms, we started building Mobile Escape Room’s for other business’s. Today, you can find out Mobile Escape Rooms not only in Chicago, but in Central Florida, Atlanta Georgia, Bran, MO, Seattle, Washington, Nashville, TN. Starting any new business from scratch has major hurdles to over come. Our first 6 months, we were stationed outside a shopping mall selling tickets. We made very little money at this and had very expensive rent. Being very active in the day to day, I learned that while other escape rooms thrive at selling tickets to customers that come to them, our uniqueness is that we come to people. We ended our contract with the mall and focused on private events such as birthdays, team buildings, school and camp groups, girl scouts and boy scout troops, adult block parties and we set up at fairs and festivals. The fairs and festivals brought us tons of public following and our theme park quality escape rooms spread quickly in the Chicagoland area by word of mouth. By month 7, we really started to see our calendar book up and had to start expanding the business and creating new games. So, as you know, we’re impressed with Mobile Room Escape – tell our readers more, for example what you’re most proud of as a company and what sets you apart from others. 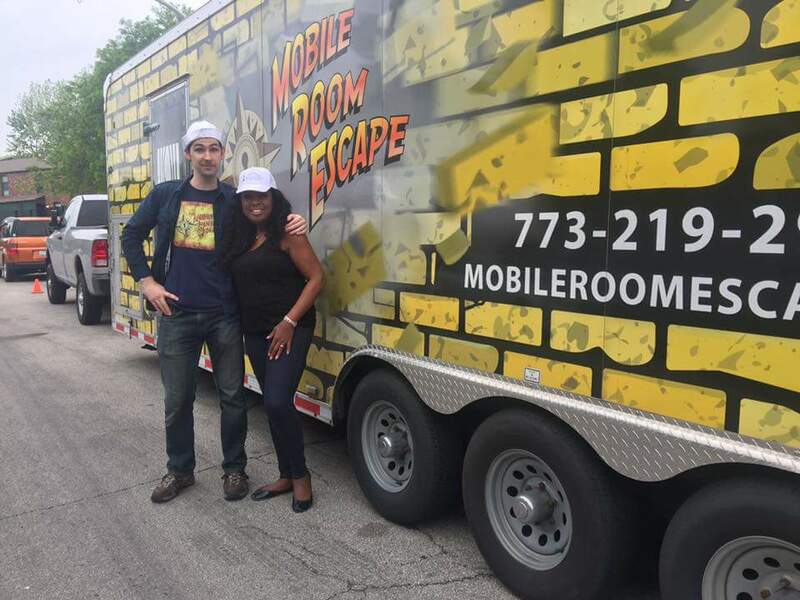 Mobile Room Escape was one of the first escape room’s in the US that brings the escape room fun to our clients. Live Action Escape Rooms originated in Japan and made there way to the US about 7 years ago. The original idea was locking a group of people in a room for an hour and giving them a bunch of puzzles, riddles, and obstacles they have to work together to solve and escape out of the room. Today, most companies have gotten away from the idea of locking people in a room (which scared off a lot of customers) and giving them other challenges to succeed at such as saving the world or finding a hidden treasure. Most escape rooms set up shop in a mall, strip, mall, warehouse or office building. Our escape rooms come to our patrons. We have 32′ trailers that are climate controlled and the escape room pulls up directly to our patrons home, business, or local park. Part of what sets us apart from other escape rooms is the fact that we are a travelling escape room which is unique in its self, we cater to both young kids and adults (we are a family run business with the goal of getting parents and their children communicating and having fun together) and the quality of our rooms surpass the original idea of just putting a bunch of locks on cabinets. 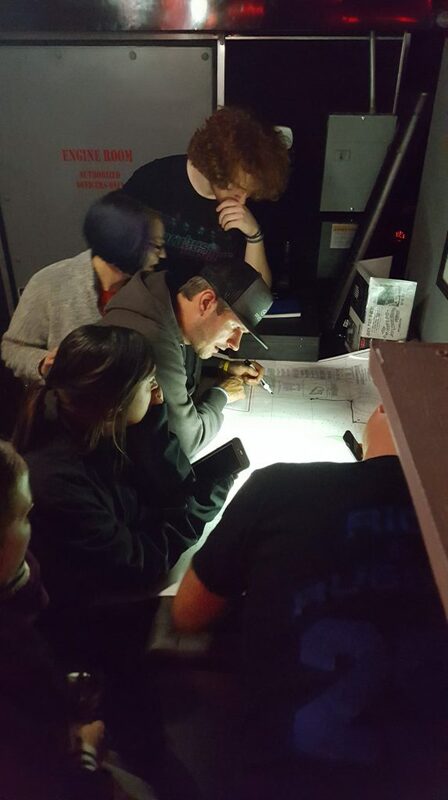 We have set, lighting, and a/v designers along with working with the best technology in the escape room industry to make the customers experience as immersive as visiting their local theatre. The past years have seen our business grow with our expansion of more mobile escape rooms in Chicago and starting up in Georgia as well. 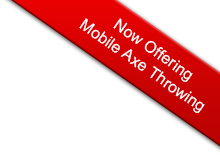 We have also since August of 2016 been building and designing Mobile Escape Room trailers and games for other clients. While we are excited about our growth, we really try to focus on the business one day at a time and make sure that our each of our clients has an amazing escape room experience. Our number goal is to exceed our customers expectations. We try to this daily with great communication, upgrading our products and learning more and more about this ever evolving industry. We are seeing more requests from major government agencies and the entertainment industry about creating escape rooms for them to use in recruitment and promotions. While I can’t discuss too much about it now, we have a couple of very big escape room clients lined up for their mobile escape room created by Mobile Room Escape. 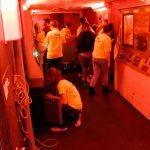 Mobile Room Escape Chicago was just featured on an hour long podcast for escape rooms. Escape Rooms are all about working together and helping each other to solve problems. During the month of September Mobile Room EscapeTM will be helping those that truly need help. We will donate $10 dollars of any private booking to The American Red Cross to support their work in Hurricane Harvey recovery efforts. In addition to that we are offering $50 off to you for any new escape room booked by making a contribution yourself. * That’s right! Donate at least $1 to those in need to save $50 on your next Mobile Escape Room. In addition if you are able to beat our record time of 13:25 with out any clues Mobile Room EscapeTM will donate an extra $100 to Hurricane Harvey relief. 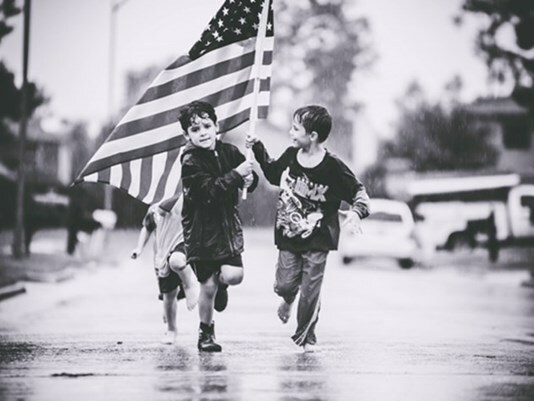 Please visit the link below to make a donation and thank you for supporting those in need. Mobile Room EscapeTM has helped many other charities, schools, and organizations raise funds to help benefit their causes. We have worked with the Boy Scouts of America, The Easter Seals, The American Alzheimers Association just to name a few. 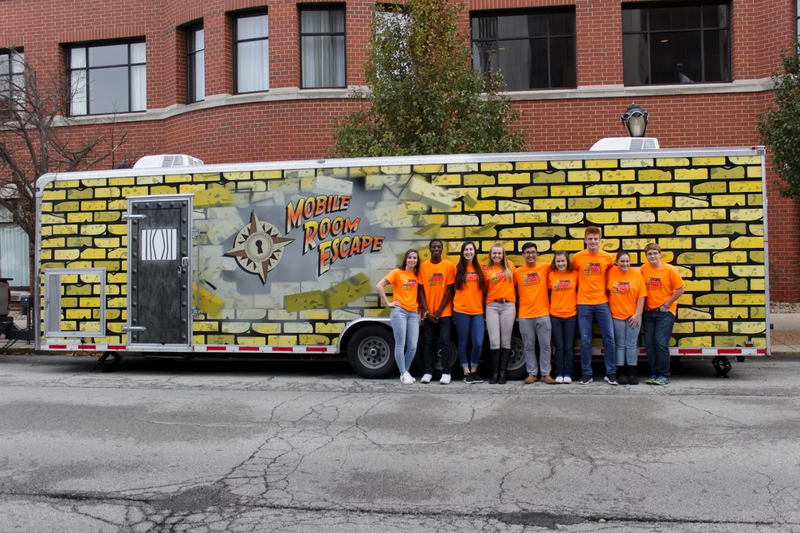 Besides the lucrative draw of selling tickets for an escape room, Chicago based Mobile Room EscapeTM offers their own monetary donation to any group that can beat their record escape time, and we even offer a hint system to participants that helps to draw extra revenue toward the charity at hand. *Receipt of donation to the red cross must be shown. Check out this article Mobile Room EscapeTM built this trailer with our partners for this group in Seattle! 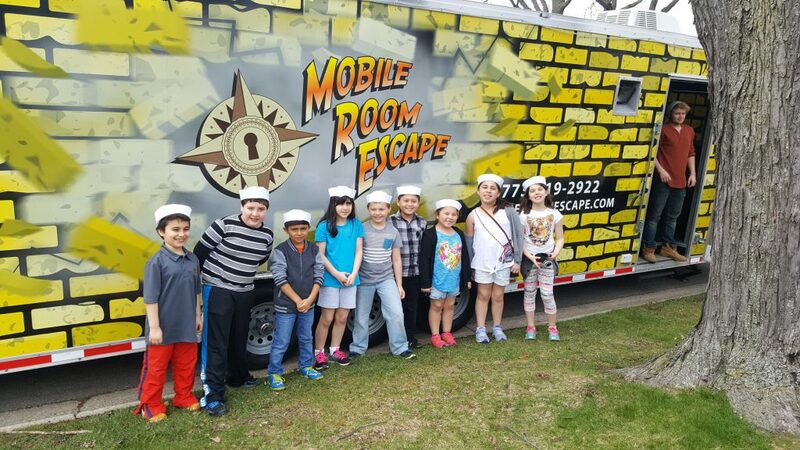 Mobile Room EscapeTM offers a turn-key solution to your new Mobile Escape Room. Our fully immersive games include Hollywood Style sets, High Tech Puzzles, Full Video and Audio Immersion, and so much more. Whether you are looking at one of our stock games, custom game design, or high tech puzzles and props Mobile Room EscapeTM is here to build you an escape room that will be fun and current for many years. Contact us today for a quote.